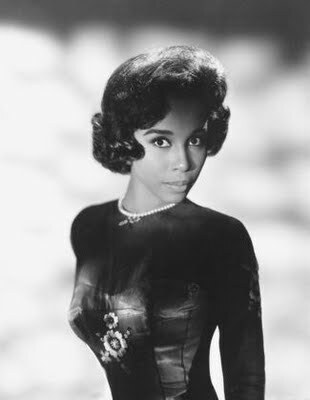 Already a star of stage and film, Diahann Carroll made history in 1968 by becoming the first African-American woman to star on her own television show. Born Carol Diahann Johnson on July 17, 1935, she grew up in Harlem. Her mother nurtured Carol’s interest in becoming a performer, though Carol’s own fierce ambition was even more important to building her career. Seeking out contests and competitions, she won a scholarship to study voice and enrolled in New York City’s High School of Music and Art. While there, she sent a photograph of herself to Ebony magazine, which hired her to appear in a fashion spread. Carroll later credited her modeling experience with teaching her how to carry herself with poise. 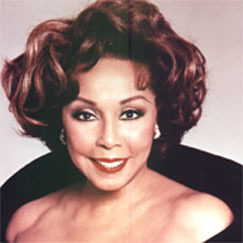 Using the stage name Diahann Carroll, at 16 she made her national television debut as the winning contestant on Arthur Godfrey’s Talent Scouts. To please her parents, Carroll enrolled in New York University while pursuing her singing career. After winning $3,000 on another televised talent contest, she found work in New York clubs and was signed by an agent. After a year of college, Carroll quit school to devote herself to performing full time. 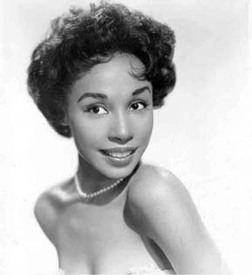 In 1954, Carroll won her first movie role, playing a sidekick in the musical Carmen Jones, which starred DOROTHY DANDRIDGE and PEARL BAILEY. The next year, Carroll made her Broadway debut in House of Flowers, for which she earned a Tony Award nomination. During its run, she met casting director Monte Kay, whom she married in 1956. They had one daughter, Suzanne, before divorcing. Carroll returned to the screen in Porgy and Bess (1959), in which she costarred with Sidney Poitier. During the filming, she and Poitier began a tumultuous on-again-off-again romance that lasted for eight years. She also appeared in Paris Blues (1961) and Goodbye Again (1962), before heading back to the stage in No Strings (1961–62). This musical was written by Broadway legend Richard Rodgers with Carroll in mind for the lead role of Barbara Woodruff, a sophisticated fashion model. Carroll won a Tony for her performance and toured with show after its Broadway run. Carroll returned to the nightclub circuit before being cast as the lead in Julia, a television situation comedy about a widowed nurse raising her son alone. Premiering in September 1968, Julia was America’s highest-rated show within a month. 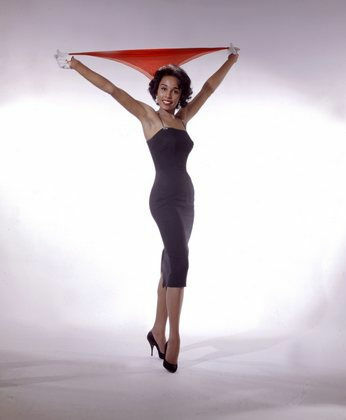 Car roll was hailed for breaking a color barrier by playing a middle-class professional at a time when African-American women seldom appeared on television unless they were portraying a maid. Some African Americans, however, complained that Julia, with its relatively bland and uncontroversial scripts, created an unrealistic portrayal of black life in America. Carroll was shaken by the criticism and exhausted by the rigorous schedule in producing the show. By 1970, she asked to be released from her contract. As she struggled to find better roles, Carroll experienced renewed turmoil in her private life. She became romantically linked with television host David Frost, but called off their marriage at the last minute. A week later, she married Freddie Glusman, a store owner. Within months, they were divorced. In 1975, Carroll found perhaps her best role in Claudine, a comedic drama in which she played a single mother of six children in Harlem. Though known as a fashion plate, she embraced the unglamorous role. She explained, “I couldn’t wait to put aside the couture gowns. . . . I wanted to let my talent out, to expose it, to test it.” Her performance won her an Academy Award nomination for best actress. While publicizing Claudine, Carroll met Robert DeLeon, the 26-year-old managing editor of Jet magazine. They were married for two years, until DeLeon’s death in an auto accident in 1977. Carroll soon returned to work, acting onstage in Same Time, Next Year (1978) and Agnes of God (1983). She also appeared frequently on television, most notably joining the cast of the popular prime time soap opera Dynasty in 1984 as the impeccably dressed and perfectly coiffed Dominique Deveraux. The same year, she started dating singer Vic Damone. From 1987 to 1996, they were married and frequently performed together. Carroll has complained that, as an older African-American woman, there are few roles open to her. Yet, she has continued to work steadily, often finding meaty roles in respected projects. In 1997 she won rave reviews playing a voodoo priestess in Eve’s Bayou. Now a staple of television movies, she has also been praised for her work in The Sweetest Gift (1998), Having Our Say (1999), Sally Hemings: An American Scandal (2000), and Livin’ for Love: The Natalie Cole Story (2000). Carroll, Diahann, and Ross Firestone. Diahann! An Autobiography. Boston: Little, Brown, 1986. “Diahann Carroll.” In Contemporary Black Biography. Vol. 9. Detroit: Gale Research, 1995. Carmen Jones (1954). Twentieth Century-Fox, VHS, 1994. Eve’s Bayou (1997), Vidmark/Trimark, DVD/VSH, 2001/1998. The Time of My Life. Sterling-Koch, CD, 1997.